According to the result of research findings, cancer is a lactic acid, which is formed when a certain kind of fungus or mold lives in an environment devoid of oxygen. It was also discovered that by passing a very high concentration of oxygen molecules through cancer cells, it could destroy them completely. It is really very difficult for anyone to wrap their head around the idea that a substance as common as sodium bicarbonate (baking soda) can offer much more benefits than most of the pharmaceutical drugs that cost so much. There is however fascinating evidence that proves that sodium bicarbonate can indeed cure a lot of serious diseases, such as cancer and diabetes. Medical practitioners have also been advised to use it since it offers amazing benefits. Sodium bicarbonate, it must be noted, is a very widely researched substance, which has been used for several years even by oncologists. The toxicity of chemotherapy and radiation are such that could destroy vital organs of the body, like the liver and kidneys, therefore, sodium bicarbonate is usually given periodically to patients to prevent this possibility. A major issue with regards to human physiology is the problem of a lack of bicarbonate ions. This results in a decrease in the pH value of the blood. Enzymes are a fundamental part of biochemical reactions and they are highly sensitive to pH levels. They work best in an environment that is not acidic. The fact that cells function better is a slightly alkaline environment gives credence to the effectiveness of baking soda. Diet plays a very important role in keeping the pH levels of the blood at acceptable levels. Unfortunately, our modern diet encourages a decrease in the pH level, making it acidic. Cellular activities and functions are drastically hampered when there is an consistent imbalance in the pH value. Cells begin to deteriorate when the pH value is acidic, leading to severe health issues like cancer, gastritis, osteoporosis, diabetes and heart disease, among others. It is a known fact that uric acid causes gout, kidney stones, diabetes and heart diseases. Alcosan, which is a toxic compound is formed by fungi in an acidic environment has been shown to cause various cancers and diabetes. By orally administering baking soda, serious diseases like arthritis, gout, influenza can be prevented. It also helps the pancreas to adequately carry out its activities, which include the production of insulin and bicarbonate ions. It does not matter if a person suffers from a terrible medical condition like the heart disease or cancer, even the flu, when a combination of sodium bicarbonate and magnesium chloride is taken orally, it provides a treatment that is both natural and safe. These work to effectively rid the tissues, cells and organs off all toxins and acids. 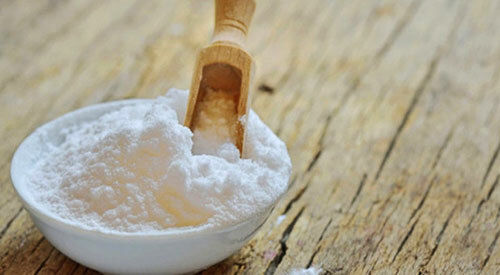 Sodium bicarbonate is indeed a wonderful natural substance and a nightmare to the pharmaceutical industry.